Why See A Perfect Circle? 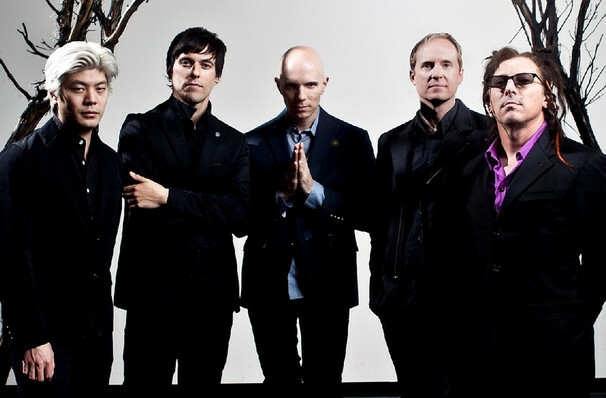 A Perfect Circle fans rejoice, because the boys are back in the studio and back on the road. Comprised of Maynard James Keenan (Tool, Puscifer), Billy Howerdel (Ashes Divide), James Iha (Tinted Windows, ex-Smashing Pumpkins), Jeff Friedl (Puscifer, The Beta Machine) and Matt McJunkins (Eagles of Death Metal), A Perfect Cicle are now touring in support of their long-awaited new album, Eat The Elephant. Marrying crunching riffs with slinky cerebralism, A Perfect Circle have been gone from the rock scene far too long, as has their electrifying stage presence. 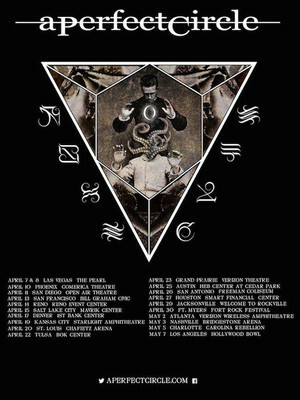 See A Perfect Circle and the inimitable Maynard James Keenan when they play live near you! Sound good to you? Share this page on social media and let your friends know about A Perfect Circle at Rupp Arena. Please note: The term Rupp Arena and/or A Perfect Circle as well as all associated graphics, logos, and/or other trademarks, tradenames or copyrights are the property of the Rupp Arena and/or A Perfect Circle and are used herein for factual descriptive purposes only. We are in no way associated with or authorized by the Rupp Arena and/or A Perfect Circle and neither that entity nor any of its affiliates have licensed or endorsed us to sell tickets, goods and or services in conjunction with their events.